Upper West Side, Manhattan, NY (April 8, 2019) – Firefighters, police, and paramedics responded to a two-alarm fire that was reported to have broken out at a building on Monday morning, April 8th. According to authorities, the fire started on the first floor of a restaurant on Columbus Avenue shortly before 7:30 a.m., and resulted in the injuries of 16 people, including two firefighters. The blaze was reported to have started on the first floor of the building but rapidly spread to the apartments above. Dispatchers sent firefighter and emergency medical crews to the scene, where they worked to extinguish the flames and render aid to any injured parties. 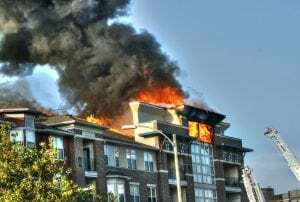 Altogether, officials stated that 14 residents suffered at least minor injuries, while two firefighters also sustained minor wounds but both refused medical attention at the scene. At this time, the cause of the fire is under investigation. Authorities had to shut down Columbus Avenue between 83rd Street and 84th Street during the incident. No further information has been released. We would first like to extend our sincere sympathies to all 16 people who were hurt in this fire. Unfortunately, many fires and explosions in New York prove to be seriously injurious or fatal, as they are one of the most dangerous situations that anyone may face at any time, and we extend our deep gratitude to the numerous brave firefighters who risk their lives for the members of our community on a daily basis.